Enjoy this winter with hot Onion Soup, topped with grated cheese. 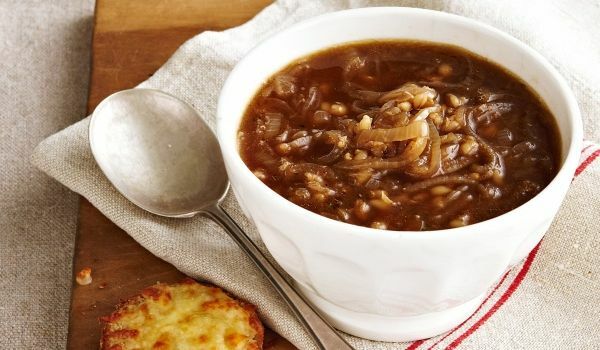 Learn how to make/prepare Onion Soup by following this easy recipe. Heat the butter on a low heat over a pan. Add the chopped onions and cook it for about 8 minutes until they turn brown. Add a little water, salt and grated cheese, giving the mixture a boil on medium heat. Later add Corn flour and cook it for low heat on 4 minutes. Add a touch of grated cheese just before serving.